What to expect: a fun time!! This 2nd annual event is filled with charm and character. Located at 5th and Main Espresso Bar, the old Post office, in Pueblo, Colorado. We will be providing appetizers paired with different wines, art to peruse while sipping and snacking, and also the ever popular “wine grab” – maybe it will be your lucky day! 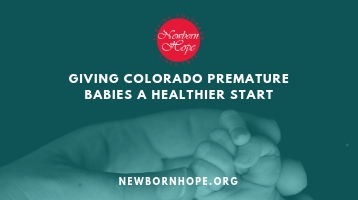 Come support Newborn Hope and help give Colorado babies a healthy start!